Bill and Giuliana Rancic allowed a lifestyle magazine access into their Gold Coast brownstone, giving curious fans a glimpse into their lives at home. Traditional Home photographed several rooms inside the Rancic's home, which they described as an 1880s brownstone. The couple once lived in the home part time, but they bought it as soon as it went on the market in 2013. Previously split time between Chicago and Los Angeles, the couple now says the Windy City is their real home. "We have such a rich social life in Chicago," Giuliana told Traditional Home. "That just wasn't the case in Los Angeles — it seemed like one giant office with great weather." The couple hired designer Lonni Paul, the same designer they used for their home in Los Angeles, to fix up the Chicago brownstone. Traditional Home's photographs show an elegant blue dining room, a bright white kitchen, a cozy breakfast room, a library and a play room dubbed "Duke's Place," among several other rooms. The magazine spread hit stands Tuesday, just one day after Giuliana Rancic's last day as co-anchor of "E! News." 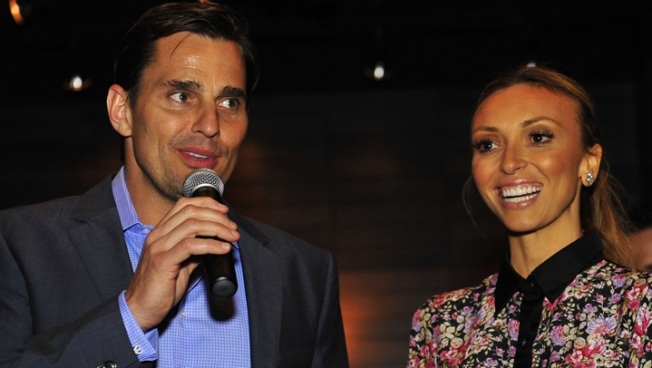 When the Rancic's 2-year-old son Duke was born, the couple insisted he would be raised in Chicago, which is also Bill Rancic's hometown. "Long term, we're going to raise him in Chicago, he's going to go to school in Chicago, and he's going to be out of the LA/Hollywood scene," Rancic said. The Rancics' Chicago connection extends beyond Bill's roots, however. They also co-own the RPM Steak and RPM Italian restaurants on the Near North Side.